Amy discovered her “Happy Feet” at 18 months of age ( K.C and the Sunshine Band were a formative influence) but had to wait to begin her formal dance training until the age of 3. Starting off in a small church basement in St. John’s, NL. she pursued her love of dance throughout her school years, studying throughout Canada, and considers herself extremely fortunate to have studied with excellent teachers who stoked her passion for dance such as Judy Knee, Tina Phelps and Barbara Ashley in Newfoundland and Johanne Gingras, and Ross Brierton at the Royal Winnipeg Ballet School. Pursuing her post secondary education in dance, she travelled to the UK where she studied Dance and Dance teacher training under the guidance of Miss Gaynor Owen(Professional international examiner for the ISTD, and a highly respected Chairperson of the Modern Faculty Committee) at the Merseyside Dance and Drama Centre. While studying overseas she was awarded the “Ready And” award for excellence and promise in Teaching. Participating in over over 40 dance examinations, Amy holds international dance qualifications from the Imperial Society of Teachers of Dancing (ISTD) at the Associate level in Ballet, Modern Theatre, Tap, National, Freestyle, Latin and Ballroom. She has also completed the PBT training certificate to further ballet technique. She successfully completed her Royal Academy of Dancing Intermediate examination as well as ISTD Advanced 2 level examinations in Ballet, Modern Theatre, National, and Tap. She studied with accomplished teachers and examiners such as Debbie James, Barbara Simmons, Jane Baylis, Barbara Johnson and Val Jones, as well as choreographers Peter King and David Needham. Foregoing a professional dance career overseas, Amy returned to Canada in 1999 to pursue her passion for teaching. Choreographing and teaching in the Ottawa area for almost 20 years, Amy treasures the innumerable, long lasting relationships she has made with dancers and their families, many of whom still keep in touch through frequent visits, emails and phone calls. Throughout her extensive dancing career Amy has learned the importance of physicality to development of self esteem, inner strength, personal development and creativity in dancers. At a personal level she understands the capacity of dance training to nurture inner strength and understanding of self and is committed to helping her students find the same. She has found great joy and professional satisfaction in teaching, and has mentored several candidates to successful completion of Advanced 2 examinations. For her students, she believes that confidence and self esteem will flourish through disciplined practice, unleashing of their creativity and opportunity to compete against themselves by challenging their newly learned skills against an international standard. Amy believes learning is a life long journey, not only for students but teachers as well, and is committed to encouraging her students to keep reaching forward. – Achievement and learning is not in the destination, it is in the journey. Training in dance since the age of 4, Jaime has had over 25 years of dance experience in Ballet, Tap, Modern and Hip Hop. Her experiences are not only within the studio, but outside it as well. She has competed in Ballet, Hip Hop and Modern at many venues in Ottawa and its surrounding areas. Jaime performed locally with Les Grands Ballets Canadiens de Montreal in 2002, 2004, and 2006, participating in their production of The Nutcracker, at the NAC’s Southam Hall. In 2010 Jaime graduated Carleton University with a Bachleor of Arts degree, majoring in Music and a History Minor. She holds her teaching certificates in RAD Ballet Teaching Studies, and children’s yoga. Jaime has recently developed the “Shake What Your Mama Gave Ya” dance fitness class for new mothers, a baby wearing fitness class set to upbeat music. The new class is guaranteed to make you sweat, feel great, getting your boogie on, and meet other new mothers in the community. Jaime has extensive experience in the International examination arena, completing all RAD grade levels Pre-Primary – Grade 8 and has successfully completed her RAD Intermediate Vocational examination, as well as her ISTD Advanced 2 levels in Tap and Modern Theatre. She has choreographed annually for over 8 years including shows for the Kanata Theatre and the Carleton University Musical Theatre Showcase. Jaime is passionate about providing a fun, safe environment for students, where they can express themselves through the art of dance. Megan began dancing at the age of 12, and her love for the art form has grown with every year she continues to dance. Megan has studied Jazz, Tap, Modern, Ballet, and Hip Hop extensively and has competed in Jazz and Hip Hop competitions in Ottawa.She attended the Canterbury High School dance program,where she was introduced to choreography and composition. She choreographed numerous dance pieces while attending, and feels herself extremely fortunate to have been able to immerse herself in dance and collaborate with other dance enthusiasts. Throughout that time Megan continued to train with Amy, and under her tutelage completed her Advanced 1 ISTD modern exam before leaving Ottawa for University. Megan graduated from Guelph University in 2014 with a Bachelor of Science degree in Biomedical science, and in 2018 with a Bachelors in Nursing degree from Western University. Throughout her studies Megan was able to continue dancing and spent her summers teaching children with special needs at Camp Kennebec, in Arden, Ontario. Megan has been choreographing pieces for both recreational and competitive classes at Studio A for the past 3 years. Most recently she was awarded a choreography award at the Shine Dance Competition in Ottawa. We are thrilled to have her back on a more permanent basis. Her positivity, and devotion to the art is infectious. She inspires all of us with her love, energy, and dedication to dance. Dylan has been dancing since the age of 3. He has studied throughout the Ottawa area with multiple studios, and has travelled extensively with dance. Dylan has trained under many prestigious teachers both in Ontario and Alberta, and was accepted to the apprentice program at the Alberta Ballet School. He holds an Advanced 2 level qualification with the ISTD in Modern, and Advanced 1 in Cecchetti Ballet. He also holds a teaching qualification in Acrobatic Arts. Dylan has executed his Advanced 2 RAD ballet, and most recently has been awarded his ARAD status. Although an accomplished ballet student/dancer/teacher, Dylan continues to pursue his love of hip hop and performance with his association with CultureShock. Dylan has been very successful with his competitive endevors this year, and has brought the Studio A team to the forefront. Studying dance since a young age, Macrae has been an advocate and role model to male students throughout Ottawa. Macrae studied Modern, Tap for almost 10 years before concentrating on his love of hip Hop. He has been teaching in Ottawa since 2014. Macrae is currently a member of CultureShock, and loves sharing his ideas in the studio. Students are always very excited to hear he will be coming in, and we look forward to Macrae taking on a more permanent role in the studio next year. Born and raised in Kanata, ON, Kim started her journey in the arts as a little 4 year old ballerina. At 13 she had to make the tough choice, dance lessons or piano. Her love of music won out. Kim still dances for pleasure today (mostly in the car) and loves to take Adult Ballet and Zumba classes when she can. Kim holds a Bachelor of Music from Mount Allison University in Sackville, New Brunswick. Kim has been volunteering with MusicFest Canada since 2001 and since 2009, and holds the prestigious position of Production Director, overseeing the volunteers, logistics, sponsor equipment, showcase concerts, and communications for the festival hosting over 10,000 students across the country. Kim is also very active with Capital Region MusicFest, where she sits on the Executive Committee as Registrar and Treasurer. 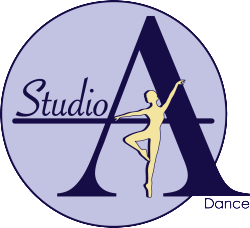 Kim loves working with the fabulous students at Studio A Dance, acting as their Technical Director/Stage Director since it’s inception. She also is an invaluable member of the office team, and free-lances as the Studio DJ during the Stittsville Parade of Lights. Kim brings joy to all those who know her, and loves to see the joy of music, dance, and artistry developed in every student.